RealEstate Business Intelligence (RBI) provides real time real estate data, market analytics and business intelligence for real estate professionals including agents, teams, brokers, office managers and executives. We currently serve markets and MLS organizations in the Mid-Atlantic (MRIS, CAAR and CVRMLS), MFMLS in Florida and ARMLS (Arizona). 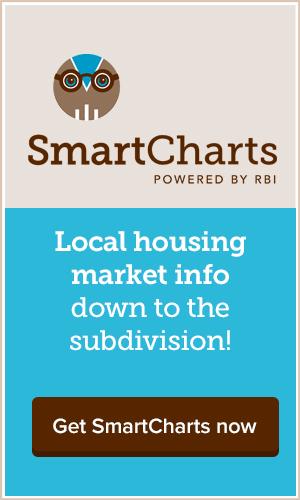 RBI offers three primary products to its customers: 1) SmartCharts™ for agents and teams presents vital market stats, trends and insights to improve both the listing and selling sides of the transaction via a low-cost annual or monthly subscription. SmartCharts™outputs charts, graphs and professional reports 2) MarketView360°™ for office managers, brokers and executives provides top down market analytics to help in recuitiing top agents, monitoring your competition and benchmarking your company's competitive performance in the market and 3 ) Custom Research Projects that start at $1,500. Based in Rockville, MD in the DC suburbs, RBI has earned a stellar five-year reputation in real estate business analytics, customer service and innovation. Porter has been designing and developing Web applications since Perl/CGI was cutting edge technology, and still occasionally dreams in regular expressions. His work has spanned from small start-up ventures to multi-million visitor Web sites. Before joining RBI, Porter was the Director of Software Development and Support for MRIS. He is excited about his role with RBI because he is also a closet data visualization geek. If you've seen any good infographics lately you should tweet him a link @PorterRBI. As Sr. Product Manager for RBI, Corey is responsible for identifying the market intelligence needs of today's Real Estate professional and defining product features that will set the RBI subscriber apart. Corey has broad experience in the implementation and management of consumer-facing applications and websites. Having donned the hats of Business Analyst, Program Manager, Producer and Product Manager with AOL, RealNetworks and Sprint, he brings the experience of translating complex technologies into usable and engaging product solutions. Prior to joining RBI, he served as Sr. Product Manager with AOL Local, responsible for AOL CityGuide and City's Best properties. Having grown up and remained in the NoVa area, Corey spends any free time away from work (and a traffic-filled commute) with his wife & twin children, along with the occasional trip to hack up a local golf course. Feel free to email Corey at corey@rbintel.com if you'd like to offer feature suggestions or follow him @CoreyRBI on twitter. Betsy is the “data geek” for RBI. She is responsible for the data integrity of the statistical data and generates all the information for the reports you see on the website. Prior to joining RBI, she worked for MRIS in various development and support positions, with an emphasis on data quality and reporting. While she started working with MRIS in 1997, Betsy began her work with the MRIS Monthly Statistics Reports in 2005. On summer weekends, Betsy can be found at the dog beach, obediently throwing sticks for her Leonberger, Hrishti.